What an awesome chance to win! Wow, super cool stamping. TFS. Love the clean and simple design. The idea of using the baby wipes is very cool - I'll have to try it! Thank you for sharing! C & S but with detail....love it! Wow, I can't wait to try this. Love your idea. Thanks for sharing and being an inspiration. Oh wow, I love the idea of making my own stamp pad with specific colors! 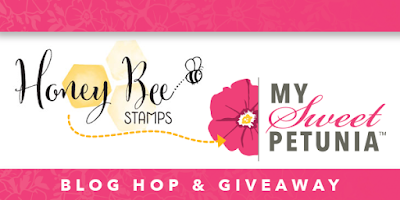 The font of the Thanks stamp is beautiful! Love it on the kraft paper. Those inks pop! Thank you for the awesome tutorial...I didn't think you'd get so many copies from it. Fabulous! WOW, what a fantastic technique! Love your cards Maureen. (Pinned this to try!) TFS! What a great technique and use of MISTI in making multiples! Love this idea - I have a bunch of re-inkers. I have to try it. Thank you for sharing the vinyl technique, which makes this process even easier. Wow cool technique. The result is awesome. Love your cards! Your technique on how to create your own ink pad was AWESOME! Thanks for the informative video and for the inspiration! So very neat !!! Love it. Wonderful cards. Love kraft and it looks great with the colors. Love this idea--thanks for sharing. Pretty cool idea. Turned out really attractive. Pretty cards. Love the font. Pretty cards! Love that rainbow look! Brilliant and so versatile. I can already think of a dozen ways to use the idea. I've done my own ink pads before, but always out of a much thicker medium, that you're right does NOT fit in the misti! Great idea to use the acrylic sheet in back of it for all sorts of reasons. So glad I hopped along! Except now I need that stamp! ooooooh! All the colours of the rainbow - LOVE LOVE LOVE! What a clever technique, with amazing results! Thanks so much for sharing! What an awesome idea and another great way to use the Misti! Your cards are clever and fun. I enjoyed watching your technique in making them. Great cards and helpful tutorial! Love the way you created the ink pad! 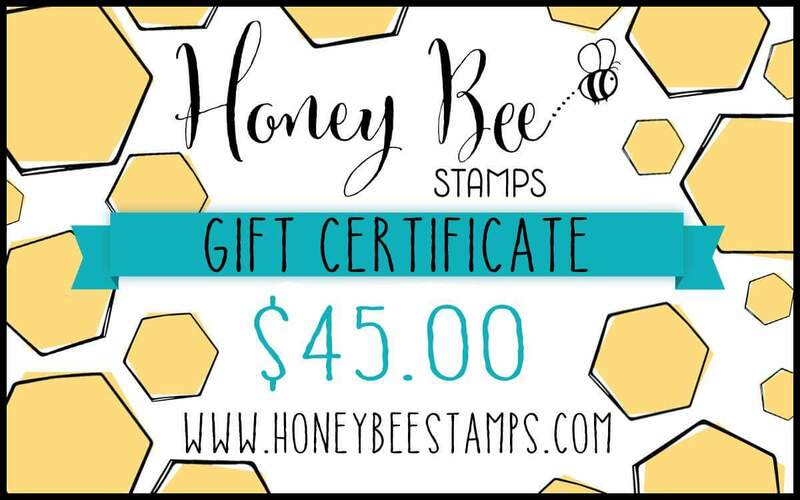 The Thanks stamp looks great stamped that way! Thank you for showing how you did it! Lovely effect! Wow! That was interesting and I learned a new thing. Thanks for sharing! Wow--those cards are wonderful. So colorful and bright. Love it. Thanks for the video, too. OMgosh this is fantastic! So many ways to use the MISTI! Great video, cute card! What a neat idea and some really great cards too. So very nice! Great job! 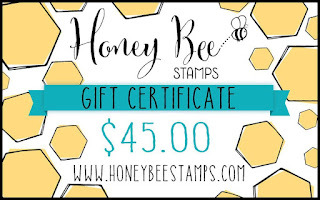 I enjoyed the technique and of course my absolute favorite stampset! The zen bouquet! Thanks for sharing that cute with us. It's a different idea for me to add to my growing collection of thank you cards. Amazing technique Maureen. Love it! The colors are so pretty! The touch of white on the letters look great. Lovely card. Thanks for the tutorial. I love your video and the versatility of this technique. Your cards are great! This was a neat idea of putting the baby wipe on the template plastic. How clever! Very pretty rainbow sentiment. Very creative way to make your own ink pad. Thanks for the video it explained the process perfectly. Love the look it created on your cards. Lovely cards and fabulous technique - so clever! Can't wait to try your technique on my cards. Very creative. Thanks for sharing. Easily the cleverest thing I've seen in a while! What a pretty card and what a great technique!! Thanks for sharing! Amazing idea. It looks so simple, I need to try it. Such a nice clean and simple look. Love it! Very cool cards! 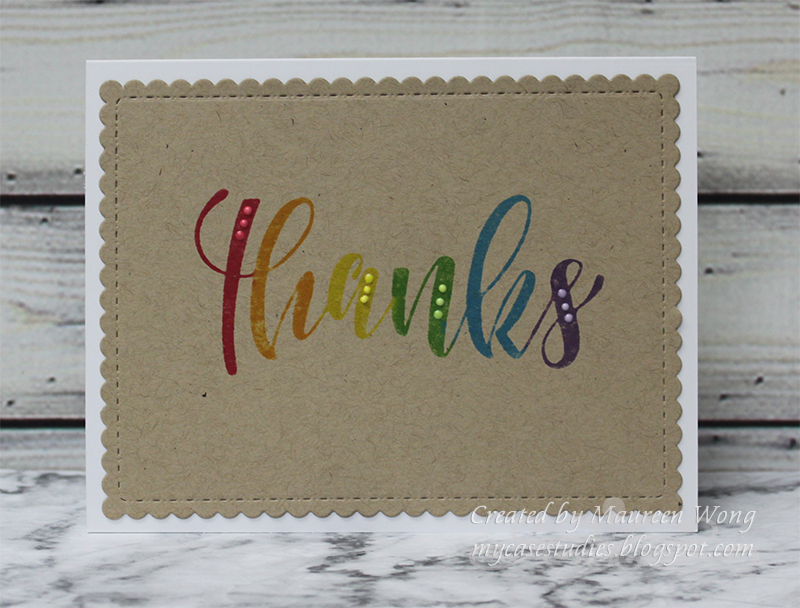 Love the multicolor stamping on the kraft! This technique really is neat in putting a card together! Pretty colors all in a row. The process of doing the rainbow of colours is fascinating and stamps so well, I will definitely use this process for making cards. Thank you so much for the video. I love how you created the ink pad. I need a Misti, now more than ever. Thank you so much for the inspiration! Both cards are so cute . Awesome card design. Thank you for making the video tutorial and sharing how you made the ink pad. I need to buy some re-inkers. Very lovely cards and a cool technique!! What a cool technique - thanks for the instructions and the tip on using Versamark, too! Love how it turned out and your addition of the white dots!! 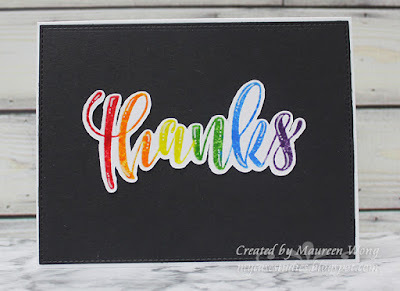 I love your beautiful CAS thank you card idea! The colorful combination on the kraft looks amazing! What an awesome technique. Thanks for the video, they are always so helpful. Simple but beautiful. Love that! 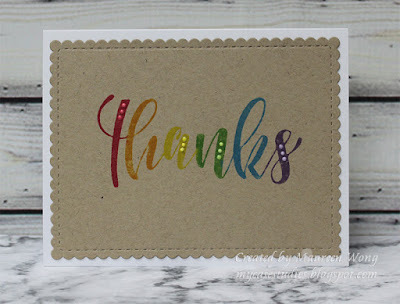 Gorgeous rainbow thank you sentiments!! Great idea and technique, thanks for sharing. Oh my goodness!!! Gorgeous card!!! Love so much your technique!!! Love the cards. Great technique. Very cool trick! Thank you for sharing. Love the finish look of these cards! FABULOUS CAS card! And a great technique, too. Thank you! I had to watch the video to understand the technique. Thanks for making a video!